The graphic is supposed to help us find our life purpose by showing the different elements it consists of. It displays several overlapping Venn diagrams, thereby distinguishing the elements of mission, vocation, profession, and passion. 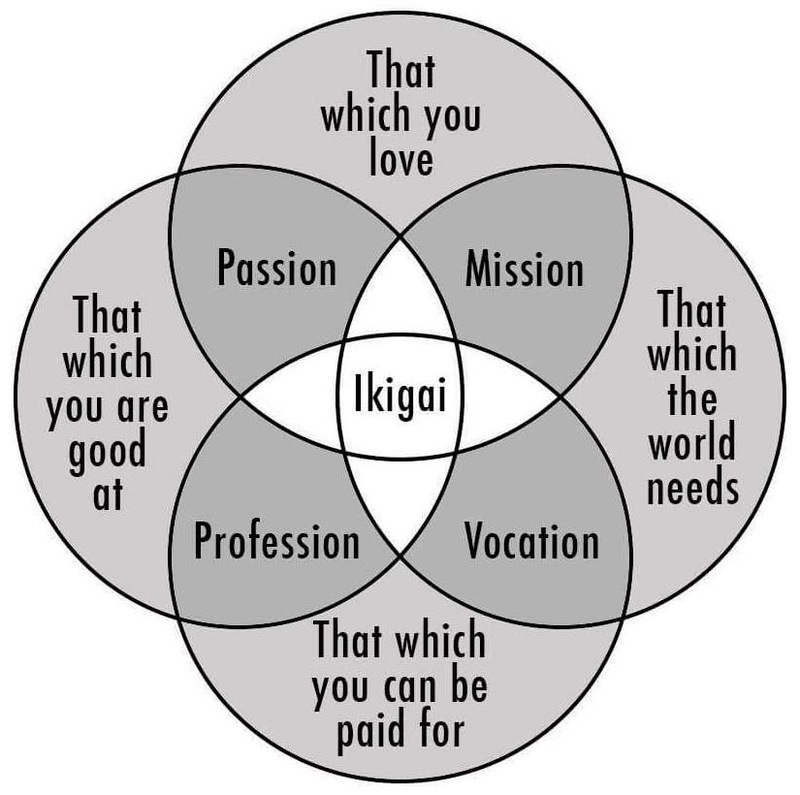 In later versions, at the center of those four circles, you’ll see the Japanese word Ikigai. Just in case you are wondering: Ikigai is composed of two separate Japanese terms: iki (life), and kai, which roughly means the realisation of what one expects and hopes for. In more specific terms, ikigai is a) used to indicate the things that make one’s life worthwhile, and b) to refer to mental and spiritual circumstances under which individuals feel that their lives are valuable. In this population-based prospective cohort study in Japan, those who did not find a sense of ikigai were significantly associated with an increased risk of all-cause mortality. The increase in mortality risk was attributed to an increase in the mortality from CVD (mainly stroke) and external causes […]. In our study subjects, those who did not find a sense of ikigai were likely to have a poorer socioeconomic status and poorer objective health status. However, the mortality risk in those who did not find a sense of ikigai was consistently increased, irrespective of socioeconomic factors, other psychological factors, physical function, lifestyle habits, and a history of illness. *The infographic can be found in numerous versions on a ton of websites. In case you know who created it originally, please leave a comment so I can give proper credit. Bryan J. Dik, Ph.D., is Associate Professor of Psychology at Colorado State University. He has published widely on topics related to work as a calling; meaning and purpose in career development; measurement of vocational interests; and career counseling interventions. 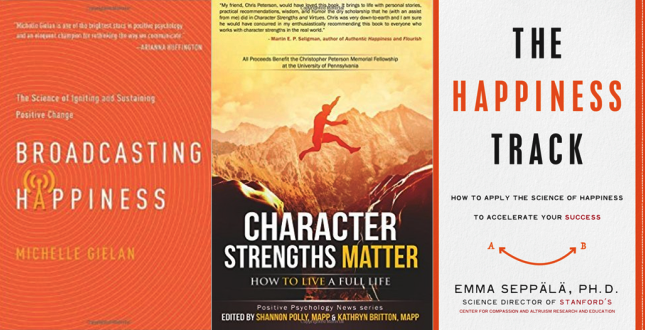 Bryan is co-author of Make Your Job a Calling: How the Psychology of Vocation Can Change Your Life at Work, and co-editor of two other books: Psychology of Religion and Workplace Spirituality and Purpose and Meaning in the Workplace. He´s a colleague of Prof. Michael F. Steger who´s work I´ve covered before here.